Open me to Higher Wisdom and More Love. That is the prayer of my heart. I continue to feel and listen, feel and listen. Riding the waves of Change as they buffet and cleanse my Being. New Consciousness is showing itself to me. Ancient Awarenesses making itself Known. I am grateful and willing. I am Witness to the Great Unfolding and the tenderness of the moment. I will continue to hold this space as Sanctuary for All Of Life. Welcoming Every Experience of What is So for each woman who brings her Wild Soul here. This week we continue our series of conversations with the Wisdom Sisters of my Heart. Vast, multi-dimensional women who are doing their work while holding space for a planet in Transition. Offering perspective, opening our hearts and minds to sit in council with One another - to hear and be heard, to see and be seen, to love and be loved. What the hell IS all of this? What is my role? What is yours? What are you seeing? What does it feel like to be where you are? What are the prayers of your heart? On Wild Soul Medicine today, we are honored by the Presence of Samantha Sweetwater. 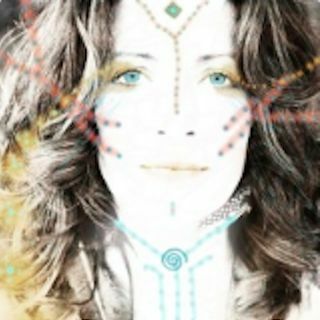 Samantha is an educator, sacred activist, wisdom leader, artist, culture coder, and the creator of a global movement called Dancing Freedom™ which spans six continents and has touched thousands of lives. A lifelong experiential physicist (ie. a choreographer, community leader, nature wanderer, permaculturalist, yogini and medicine woman) her expertise lies in facilitating a living bridge between states experience and stable embodiment. An American woman currently on pilgrimage to South Africa, she brings transmissions from the White Lions of Timavatu an Zep Tepi, line of first time. One of the most brilliant and powerful women I know, Samantha will share with Us what is moving through her, where her faith is being tested and restored, and what she is experiencing in this Now moment. Women on the front lines, gathering to share the Wild Medicine of our Souls as we seek to reconnect with Truth and with each other.